Hi today I made a decision to not rely on my family to take my photos . I know this seems a bit of a no brainer but it didn’t occur to me that my little camera would have a self timer but lo and behold it does. I had been reading another blog a few days ago and the writer had talked about how she had used the self timer on her camera to take her great shots. 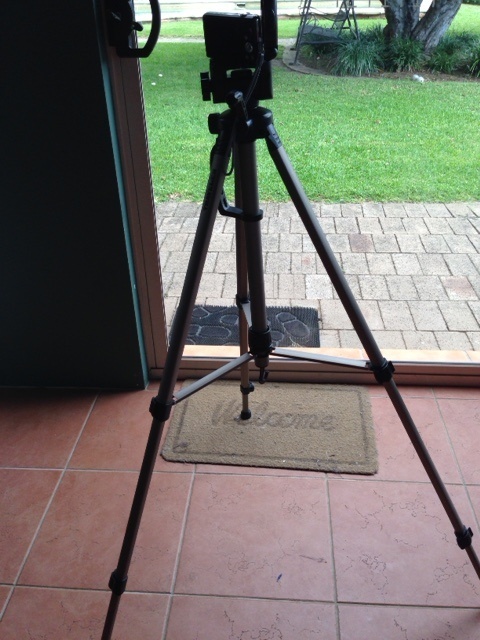 Firstly I went to my husbands camera a big professional type digital as he has a tripod and I knew it would ﬁt. All good except the battery was ﬂat. 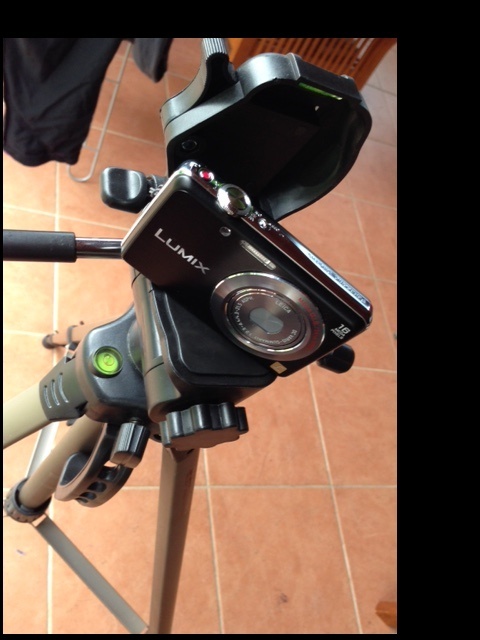 So I decided to balance my tiny camera on his large tripod. I couldn’t attach it but it seemed to work. Here are the pictures of the set up. 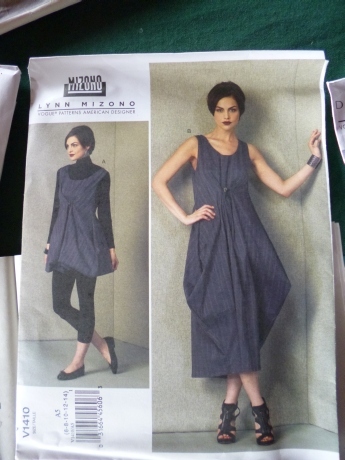 The ﬁrst make is a Vogue designer pattern V1410 a Lyn Mizono design. 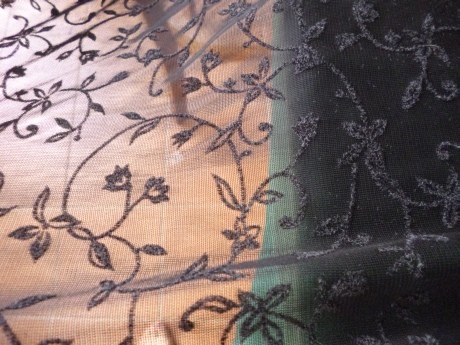 I purchased this poly blend cheaply from a local fabric store to make my wearable muslin. 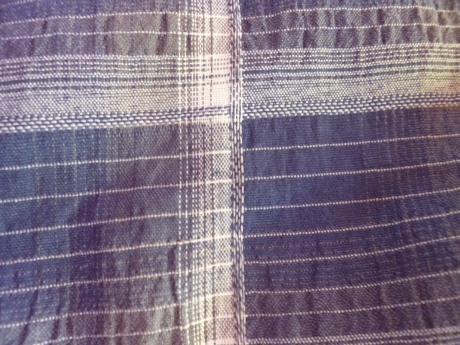 Also the colours of this will coordinate well with my transition garments and it is really comfortable and adjustable . 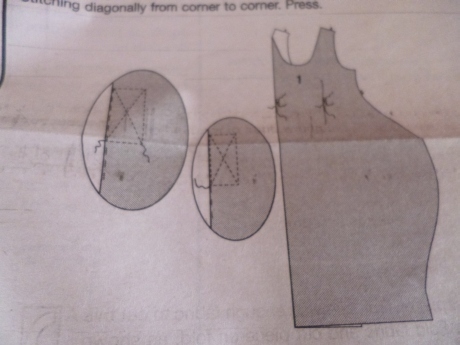 This is a seemingly simple pattern only has 2 pattern pieces. 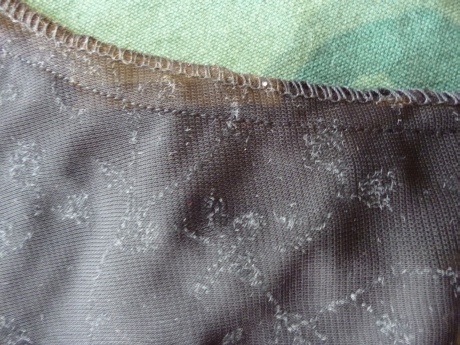 But French seams are needed and although it makes up quickly it requires a care, and attention to detail. I love it. It is ﬁne in the still warm weather we have but I envisage putting tights or leggings under and long sleeve tops and jackets over when the weather cools down. 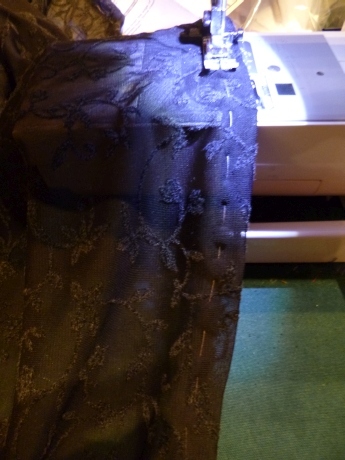 I discovered when I was assembling the dress that I had not cut the hem on the back evenly ,(I have no idea what happened but as it is checked I had to match some more fabric to get what I was after. The result took a fraction longer than it should have but I think it came out just fine. 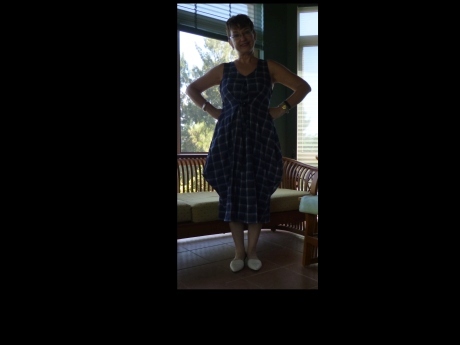 This dress is ingenious with the way you can adjust the length depending on whether you want a top or dress. 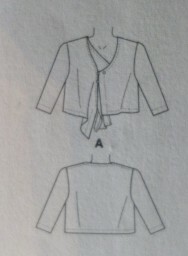 There are three buttons on the inside and buttonholes at the side seam near the hem . 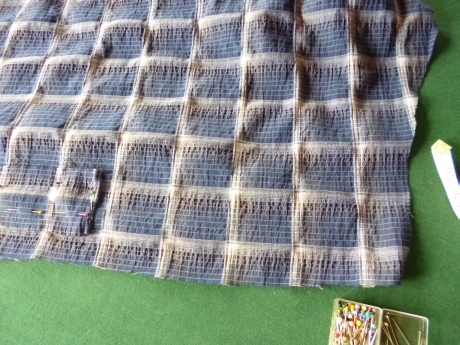 Very clever I will be making this in a heavier weight fabric for winter I think. I have made the jacket and this will go with both my wearable muslin, and the dress that I will be making for cooler weather. 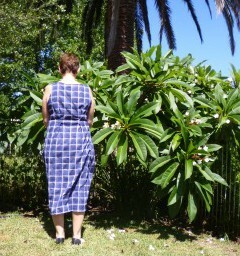 I have made it in a knit back fabric with embossed pattern. 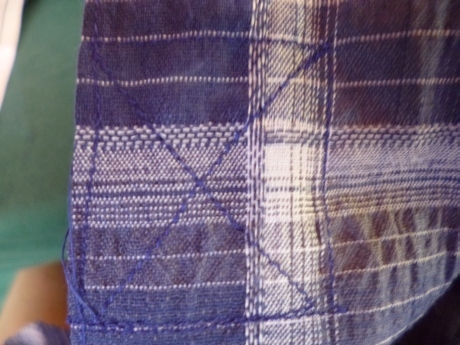 The jacket came together quickly and will be very handy to have on hand . 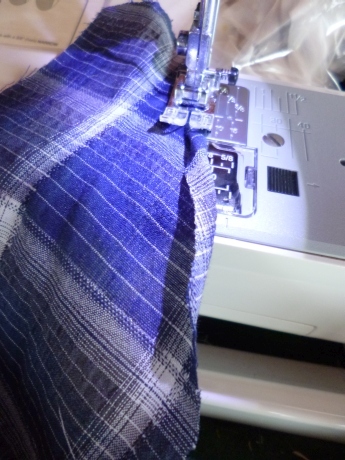 I decided to overlock the seams and it works. I have worn it and it is a comfortable little jacket. 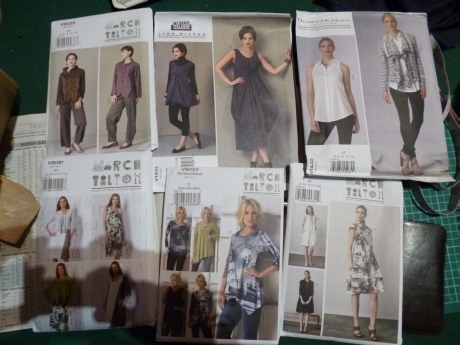 I am really looking forward to making the garments I have planned for the cooler months. It is lovely to see the creations of all the talented people whose work I wake up to on the internet each day. My RTW fast really is going great and I have no plans to stop. Next step : I really just need to carve out some time to organize the chaos that is my creative space. This entry was posted in Uncategorized and tagged designer style, fun, stretch. Bookmark the permalink. 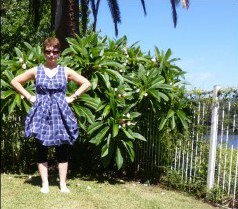 I love the beginning of your wardrobe – and have both patterns your Lyne Mizono has inspired me to get cracking with mine! What a wonderful start! 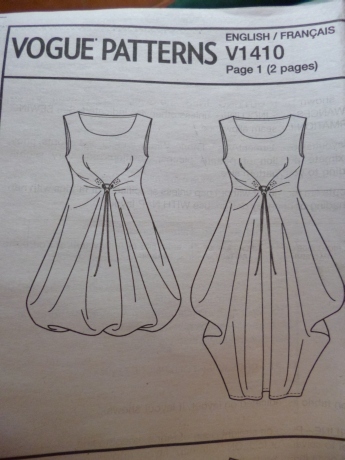 The dress sounds like fun but I think I am too short to deal with that much fabric! Im going to do the jacket though.May I suggest you stand before a white background while snapping your photos? I think the garments might be a little clearer or even try using a flash?